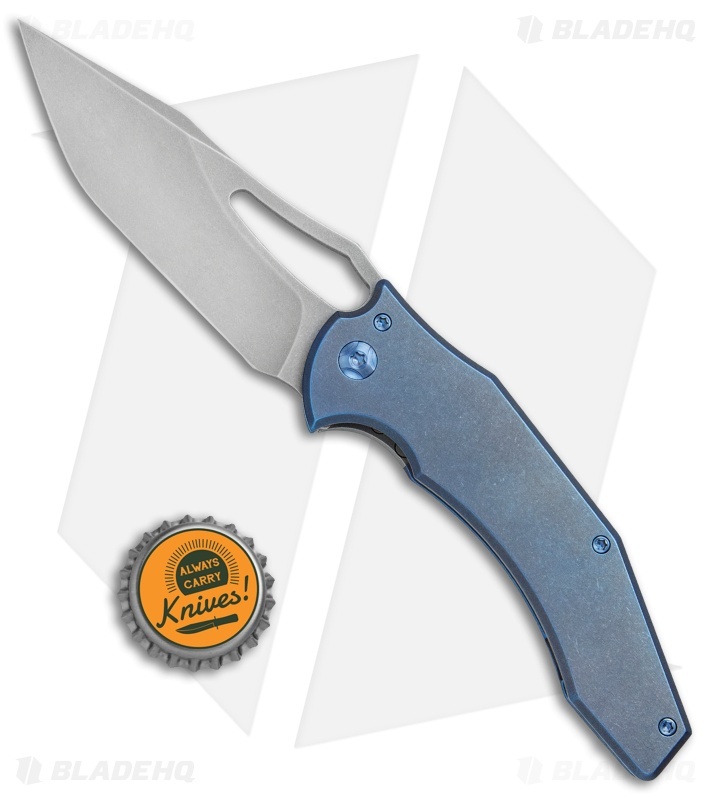 This FerKo Spinner knife features a Slab pattern titanium frame lock handle in a blue anodized finish. It has a stonewashed CPM-20CV steel blade. This is a non-flipper model. 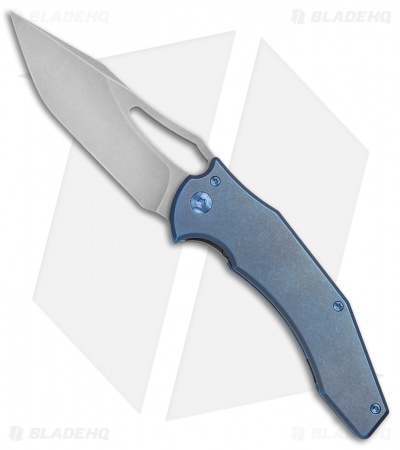 The Spinner knife is the third collaboration between Ferrum Forge and Gavko. This exceptional folding knife features Gavko's unique style paired with precision manufacturing from FFKW. It employs many of the features standard on other models, including a steel lock insert with internal overtravel arrestor, H.R.D. (Hoback Rolling Detent), and caged thrust bearings. This 'Entry Level' folder is part of a run of 200 knives. CPM-20CV blade steel provides a resilient cutting edge with excellent corrosion resistance. 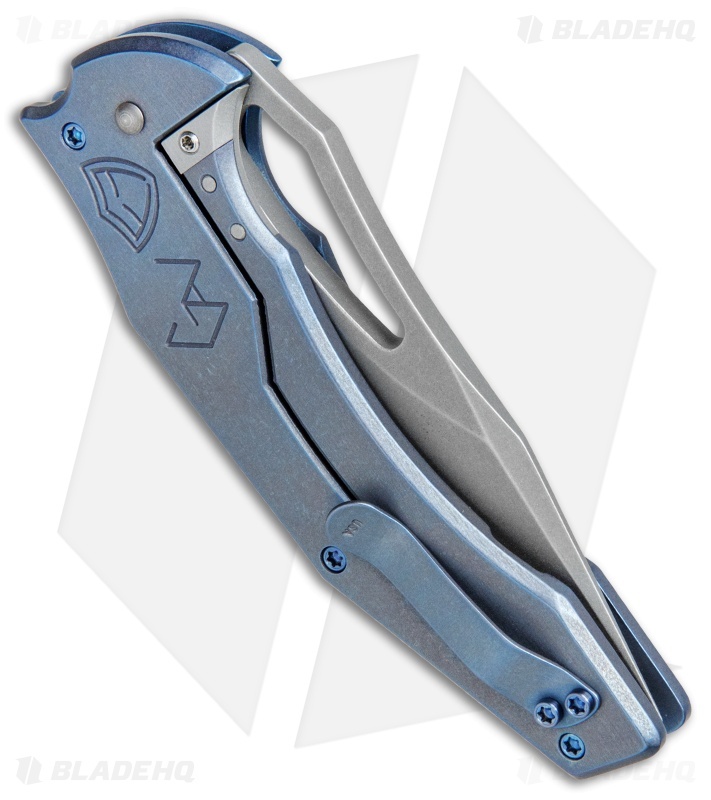 Titanium frame lock handle with over-travel insert offers rock solid blade lock-up. HRD ceramic detent and caged bearings provide quick and reliable blade deployment. 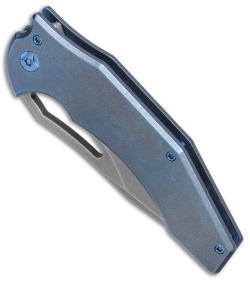 Bent titanium clip slides smoothly in and out of pockets for comfortable tip-up carry.